Smartphone’s have gained tremendous popularity and acceptability among users. Both Android and iOS are basking in the glory of success by capturing a huge market share. The increasing demand of Smartphone’s has put many mobile app development companies on a pedestal, making them create state-of-the-art mobile apps to provide incredible user experience. There are certain steps involved in the mobile app development process, right from the app concept to its launch, to ensure it fulfills the requirements of the users and gains success. Go through this brief guide consisting of 7-step checklist to bring your app idea to Smartphone’s screens. Not all of them might be useful for everyone; you can use the points that suit your strategy best or even follow them to the hilt! This is the most crucial stage, where you have to define the functioning of your mobile app, the target audience, the usefulness of the app and the USP it will have. 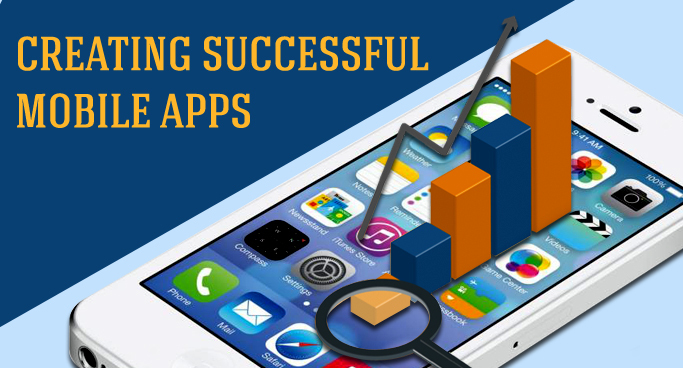 You have to consider whether the app you are going to develop has demand in the market or not. Defining a goal clearly can help you to reach to it faster. In addition, do some research on the other apps available on various mobile app stores. This process might help you to get some more ideas about the features that can be included in your app and gain a better understanding of users’ requirements. At this stage, it is also important for you to decide the platform for which you will build mobile apps: iOS, Android, Windows or BlackBerry, after considering various factors and looking at the pros & cons of the respective platform. After making the required research & study, defining requirements & goals and determining the app’s platform, the process of designing starts. One of the most important factors for the success of your mobile app is its design as this stage can either make or break up your app. The developers should consider the design standards of various platforms while building the app. Focus should be given on the use of colors and on the design of icons, headers and buttons to make the app look attractive. It is preferable to build responsive apps to make them functional across various devices. Design should create an instant impact and be long lasting on the minds of the users. It is essential to focus on the UX aspect of your mobile app to ensure its acceptability among users as the app is not only about how it looks but also about what kind of experience it gives to the users. The developers should consider the multi-touch gestures for the touch screen interface. Users should be able to navigate through the app smoothly. The most important part is to make the app aesthetically attractive, and equally user-friendly. After the look and feel factor of the app has been considered, the mobile app developers have to come to the actual development part. This is where the coding starts and the actual app is built. This stage includes creating prototypes too, for getting approval from the clients if custom apps are being built. Developers should have the knowledge of all the latest tools of the mobile app platform including the programming languages used. Developers can even link the app to the backend cloud storage, incorporate web services and integrate with payment gateway, social sites and third party applications including providing features like push notification, user management and more. They will have to setup servers, databases, APIs and more to make the mobile app function properly and provide required information to the users. This stage involves conducting tests like Unit testing, QC testing and User Acceptance Testing (UAT). A simulator is used to help designers and developers test the app for bugs and errors. Testing ensures that the app functions properly and is of high-quality before it gets published in the mobile app store. There are various tools available to test the mobile apps for fixing bugs and proper functioning, before their launch. This is the end of the development process as the app is deployed and made live on the mobile app stores. Different stores will take different time to approve the apps; there are chances of rejection too particularly in Apple Store, which will make the developers, build the apps again. The process of developing a mobile app ends with this! Make sure your app is marketed well before it is launched, to make customers aware about it. An app can be developed easily by following these steps and by gaining experience, but the real challenge lies in getting the customers and making them download the app!! Marketing should be rigorous and usually should start a few months before the launch of your App. Semaphore Software has extensive experience in mobile app development, catering to the requirements of the clients across the globe. Our mobile app developers are highly-skilled and proficient, using the latest tools to craft world-class apps! Get in touch with us through info@semaphore-software.com to get robust and dynamic mobile apps built for your business!